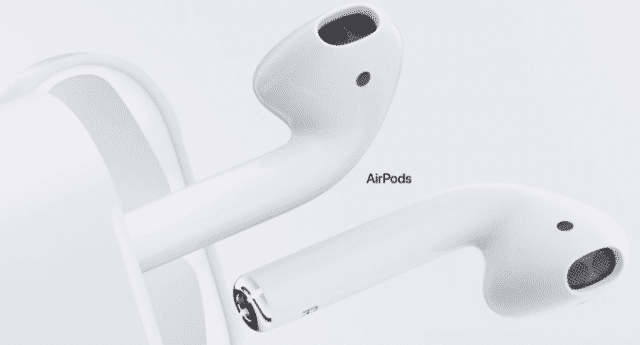 I have a strange feeling that Apple’s new AirPods are about to be one of the biggest things to happen to consumer technology in, say, 4 years. I think what Samsung and Apple have done with their phones in the last few years have been nice, but there’s not been anything that changes our interactions fundamentally. If the AirPods work as I hope they will, there will be subtle but massive change in how we both speak and listen when using mobile devices. Those are absolutely core to what we do with our devices. Even if it’s not voice. Even if it’s just watching videos and hearing click feedback. The problem with current headphones—wired or wireless—is that we know they’re there. They’re something to be managed. What the AirPods have the ability to do (and I hope they pull it off) is to take the earphone off of our conscious processing plate. You put them in and you just use your device. That’s it. They’re invisible. Are they amazing? No. They’re not there. You’re just using your device. Are they amazing compared to everything else? Absolutely. For this reason I think they might be the surprise innovative tech of the last 3-5 years.